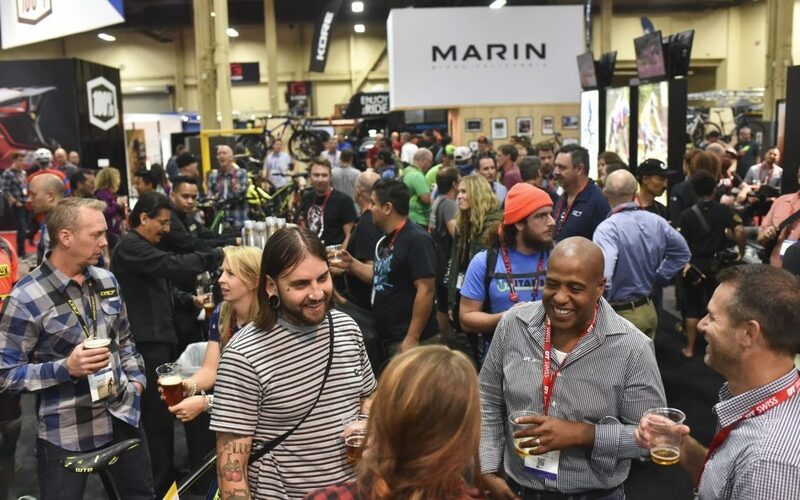 In early December, Emerald Expositions announced that the Interbike trade show will not take place in September 2019 in Reno, NV, as previously scheduled, but the company said it is considering two options that could bring a bike element to either the Outdoor Retailer Winter Market or Summer Market. Smartwool formed a new partnership with World Cup champion alpine skier Mikaela Shiffrin. Shiffrin signed a three-year contract to exclusively wear Smartwool socks as she races on the World Cup circuit. Premiere Vision announce the launch of the Premiere Vision Sport Show – a trade show for sportswear offerings in the American market. Hosted in Portland, OR, the first Premiere Vision Sport Show is slated for August 14 through 15 of this year, running alongside The Materials Show. Veteran outdoor journalist Lou Dzierzak will join SGB Media for the Outdoor Retailer Snow Show to cover business news and product trends for the company’s SGB Executive and SGB Today publications. Skins, the Australian apparel manufacturer known for its compression products, filed for bankruptcy in a Swiss Court. The company blamed the global financial crisis that that eventually led to the company taking on too much debt. Brooks Running Co. welcomed Michele Lee to the Hansons-Brooks Original Distance Project (ODP) as well as Marta Pen Freitas to the Brooks Beasts Track Club. Portland Product Werks has announced that Margaret Doran has joined the team as vice president of sales for Pendleton Footwear. Building on its philanthropic history with animal charities, Skechers has entered a multi-year partnership with the Petco Foundation. The footwear company will continue to help save the lives of dogs and cats through its charity line Bobs from Skechers, donating a portion of its proceeds to the Petco Foundation’s charity network. The Conservation Alliance is proud to announce that 36 companies have joined the organization since the start of 2018. Outdoor Industry Association (OIA) announced Class 4 of the Skip Yowell Future Leadership Academy (FLA). The Future Leadership Academy is a six-month program that prepares, unites and amplifies the voice of high potential outdoor industry leaders. Blast Motion Inc. and Diamond Kinetics Inc. have settled the patent case that Blast Motion filed against Diamond Kinetics in the Western District of Pennsylvania and have entered into a patent license agreement. Dyaco International, the maker of fitness and wellness products, is set to launch a new line of specialty medical and rehabilitation fitness equipment under a brand licensing agreement with Philips, a leader in health technology. Duckworth, the Merino wool apparel company, announced the company has hired Andy Wunsch to lead Duckworth in the role of chief executive officer. LEM Helmets, manufacturer of safe, stylish, and performance-driven cycling helmets for road, mountain biking, commute, and kids, welcomes Keith Cozzens to the team as global brand marketing director. RYU Apparel Inc. announced that it proposes a non-brokered private placement offering (the “Offering”) to raise up to $6,000,000 by the issuance of up to 80,000,000 units (each, a “Unit”) at a price of $0.10 per Unit less the maximum discount of 25 percent permitted under TSXV policies in one or more tranches. Outdoor Industry Association (OIA) on Wednesday announced the OIA Industry Lunches for Outdoor Retailer Snow Show, presented in partnership with Snowsports Industries of America (SIA). Norrona, the four-season Norwegian outdoor brand renowned for its premium, sustainably built outerwear, will open a brand store in Boulder, CO, during the first half of 2019. Head on Wednesday announced the launch of Head Winter Sportswear in North America and the promotion of Julia Couperthwait to business manager – Sportswear North America. L.L.Bean announced year-end approval of its charitable program, contributing $4 million in grants, products and sponsorships in 2018 through its newly named L.L.Bean Outdoor Access Fund and L.L.Bean Community Fund. Grants included the National Park Foundation and The Trust for Public Land. British Columbia’s 7mesh Cycling Apparel is again expanding its European footprint with new distribution in the Benelux, France and Italy. The National Sporting Goods Association (NSGA) announced the launch of its “Verified Independent Dealer Program.” This program will recognize the most qualified independently owned retailers and dealers in the sports industry. Kettlebell Kings recently developed both live and virtual kettlebell training programs that it will roll out via its training site: www.living.fit. Rabbit, the California-based running apparel manufacturer, has signed on to sponsor another of Aravaipa Running’s signature events, the Black Canyon Ultras. Salomon announced its partnership with Lake Sonoma 50, the endurance race held near Healdsburg, CA, known for its relentless course and charitable spirit. PVH Corp., the owner of iconic brands, including Calvin Klein, Tommy Hilfiger, Van Heusen, Speedo Warner’s and Izod, announced its support of Global Fashion Agenda’s CEO Agenda 2019. Ironman, a Wanda Sports Holdings Company, announced the promotion of 25-year experienced retail executive Jennifer Mocerino to chief merchandise officer for Ironman. Turtle Fur announced it is joining a pilot program with Limeloop reusable shippers. Shred415, a high-intensity interval training fitness concept combining strength training and treadmill work, announced Tuesday its significant achievements in 2018. The brand signed 80 franchise agreements and onboarded its first area representative, fueling the brand to continue its strategic growth in target markets in and beyond 2019. Adidas and Foot Locker to create a new initiative that re-envisions the future of creativity and speed with the assistance of Adidas Speedfactory USA and Germany. Beginning this month, Adidas and Foot Locker will co-create consumer-inspired Adidas Made For (AM4) shoes across the country at various cultural events and sport moments throughout the year. Clarus Corp. again lifted its guidance for the year ended December 31 due to healthy revenue increases in the fourth quarter. The gains were led by 8 percent growth from Black Diamond and 14 percent growth from Sierra Bullets. Under Armour reached a five-year apparel agreement with Catholic University Athletics in Washington, D.C. through BSN Sports. BSN Sports, a division of Varsity Brands, has finalized the acquisition of Birmingham, Al-based Pennant Sports Inc. Safer Sports LLC announced that it is rebranding as “Light Helmets.” The change follows Safer Sports’ acquisition last September of the assets of SG Helmets, the fifth largest manufacturer of football helmets in the world and a longtime leader in sports helmet safety technology. Caleres announced it has entered into an amendment of its credit agreement, which extends its senior secured asset-based revolving credit facility to January 2024, reduces upfront and unused borrowing fees, provides for less restrictive covenants, and offers more flexibility. Spalding and the Canadian Elite Basketball League entered into a three-year partnership agreement that makes Spalding the Official Basketball of the CEBL. The Antigua Group Inc., one of the nation’s leading designers and marketers of lifestyle apparel under the Antigua brand, announced that it has signed a license agreement with U.N. Clothing Company LLC to produce Antigua branded underwear, swimwear and loungewear. Adidas announced the launch of its new sports accelerator program “Platform A” at Station F, the world’s largest start-up campus located in Paris. Thirteen start-ups have been selected to work with Adidas on new business initiatives for the sports industry starting in January. As part of its growth, retention and recruitment strategy, Puma North America Inc. announced plans to establish a new North American headquarters in Somerville, MA in 2021. The new headquarters will bring together two Puma offices, currently based in Boston and Westford. Mindbody Inc., the technology platform for the fitness, beauty and wellness services industries, announced that it is one of 230 companies selected for the 2019 Bloomberg Gender-Equality Index (GEI) which distinguishes companies committed to transparency in gender reporting and advancing women’s equality. On, the Swiss running shoe brand, announced a new sponsorship partner with run club ZAP Endurance, formally known as ZAP Fitness, through 2021. Altra signed world champion obstacle course racer Amelia Boone to its Elite Team. Fossil Group announced its plan to sell to Google for $40 million intellectual property (IP) related to a smartwatch technology currently under development by Fossil Group. Esports retail and merchandise company We Are Nations recently acquired Sector Six Apparel, an esports apparel brand specializing in jerseys and custom team wear. Superdry appointed former Nike executive Phil Dickinson as creative director, effective January 22. He will guide Superdry’s product design and brand experience. Coalition Snow will celebrate the release of its first magazine, Sisu, with a launch party at the upcoming Outdoor Retailer Snow Show in Denver on January 29.